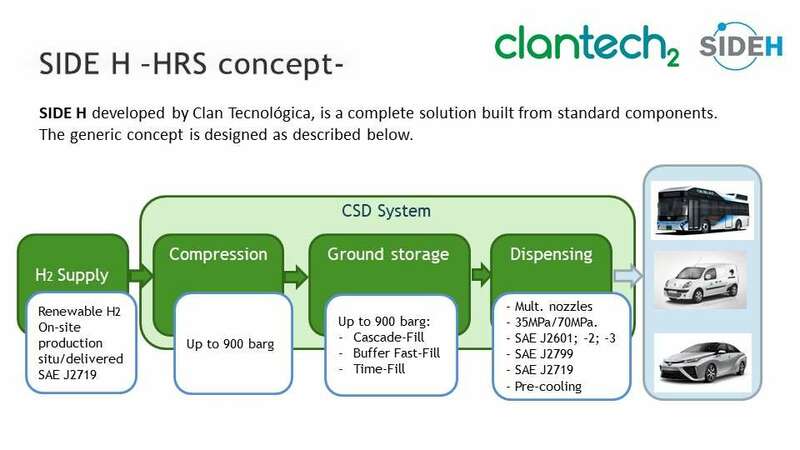 CLANTECH is an Engineering Company to develop Complete and turnkey solutions on HYDROGEN REFUELING STATIONS, HRS. Converting energy from renewable sources into hydrogen via water electrolysis, on-site gas generators produce GREEN HYDROGEN to drive carbon-free emission objectives. High Pressure STORAGE; 300 – 500 – 900 – 1000 bar. Fuel cell cars, FCEV, Light and Heavy Duty Vehicules. 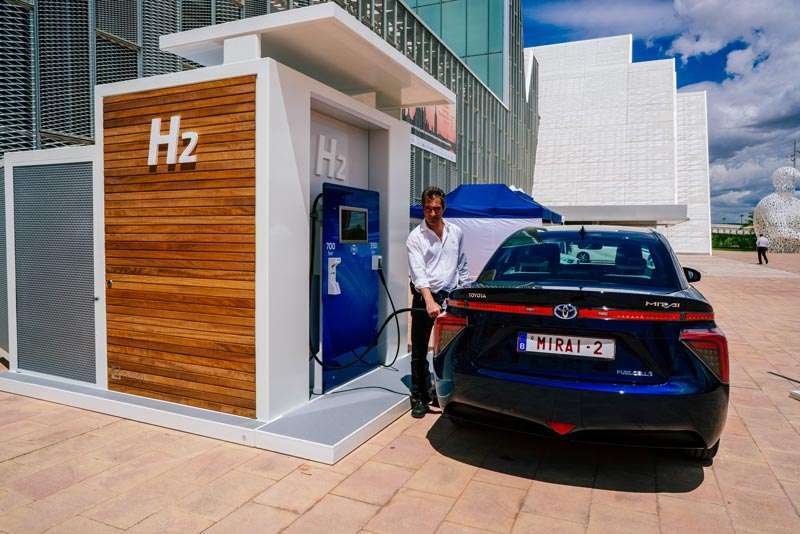 Hydrogen stations to supply hydrogen at 350 and 700 bar. Dispensers and delivery under standard SAE J2601. Type A to D.
Dispensers with communication to the car. Double or single nozzle in a same dispenser. Accumulation tanks: several possible solutions depending on the mode and maximum dispensing pressure. Solutions in suitable containers. Portable or not. Special Trucks for Hydrogen transportation.